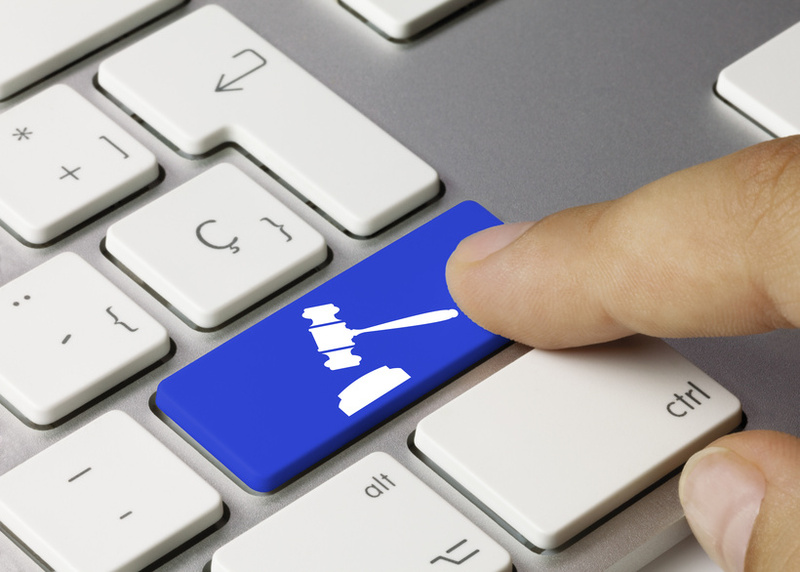 White Burgundies from Auvenay and Coche-Dury were the top performers at the 11th of March Online Auction. 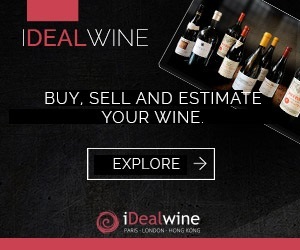 Nearly 500 buyers from 28 countries across Europe, Asia, Russia, the Baltic and United States vied for the 2,500 lots on offer at the iDealwine Online Auction, which closed on the 11th of March. In Bordeaux, Château Mouton Rothschild remained one of the most sought-after wines. European, Russian and Asian buyers were particularly interested in the great, but classic vintages of 1986, 2000 and 2005. 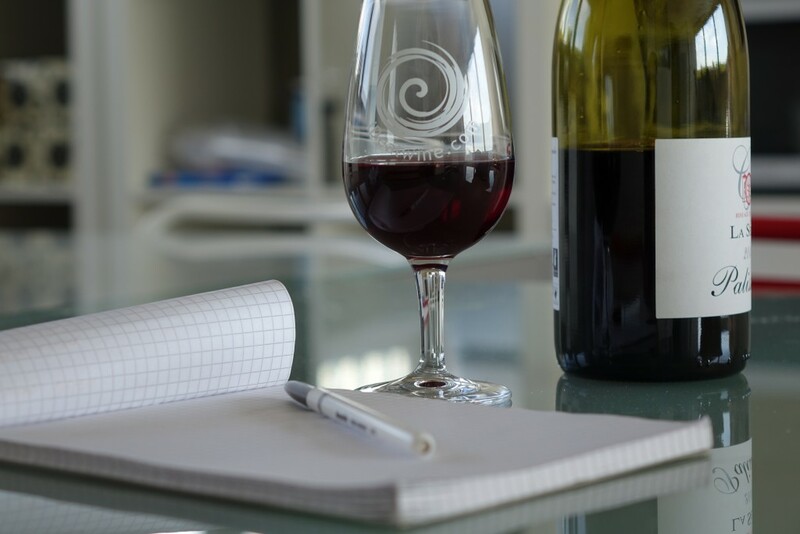 The wines of Côte de Nuits continued to dominate in Burgundy, followed by Musigny’s Mugnier. Chambertins’s Domaine Dugat-Py also made a comeback, reaching €1,500 for the 2002 vintage (+7%) and €1,260 for the 1999 (+19%). 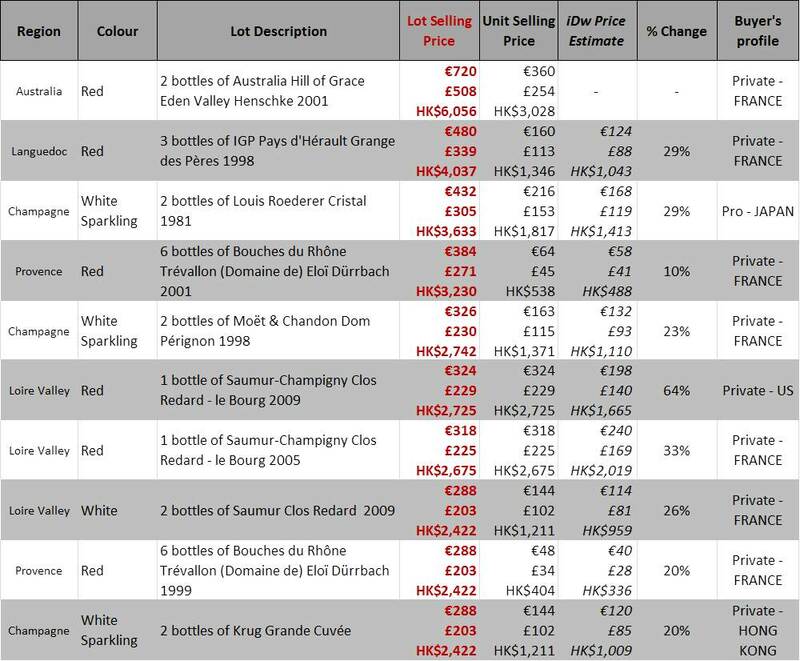 Romanée Conti’s 2010 vintage still proved popular, while La Tâche managed to reach €2,520 for the same vintage, a price increase of 15% compared to the iDealwine estimate. 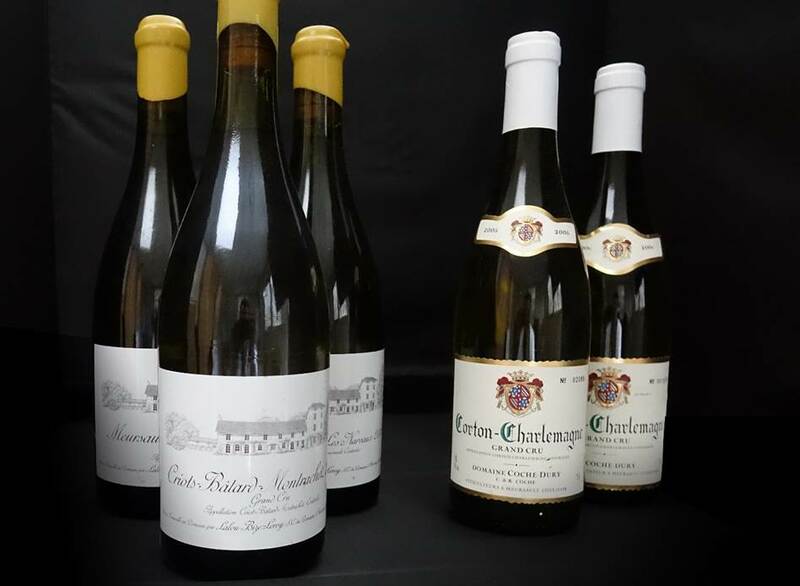 Burgundy’s top white wines also caused a stir, with the wines from Auvenay uncharacteristically well represented at this auction. These wines were hotly contested, with the Criôts-Bâtard-Montrachet 2001 reaching €876, while the Meursault Goutte d’Or 2002 went for €672 and the Narvaux 2005, for €540. 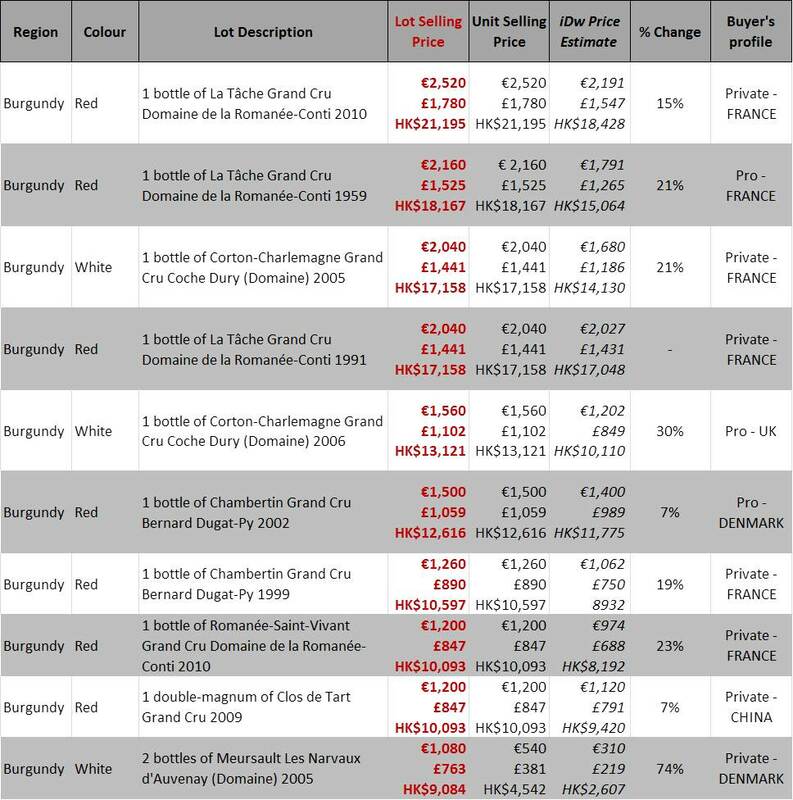 Coche-Dury is a usual stalwart at wine auctions and the Corton Charlemagne 2005 even reached the €2,000 threshold, €2,040 to be exact, a price that pushed the iDealwine estimate up by 21%. 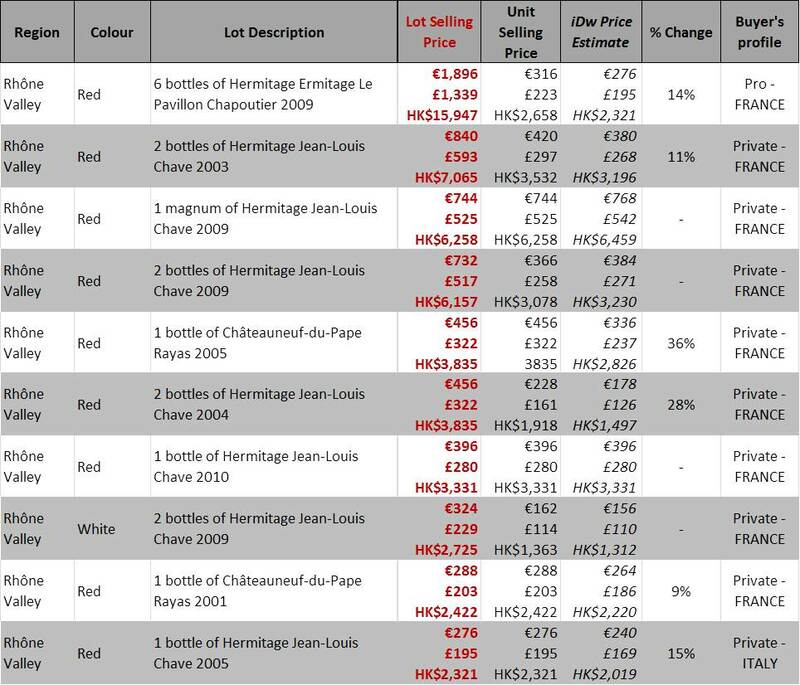 In the Rhône Valley, one producer dominated and a bottle of Jean-Louis Chave’s Hermitage 2010 sold for €396. Also in Hermitage, Pavillon de Chapoutier reached €316 for the 2009 vintage. Other top performers were Châteauneuf-du-Pape, Célestins d’Henri Bonneau’s Reserve and Domaine Janasse’s “Vieilles Vignes”. Château Rayas, meanwhile, also garnered great results, whatever the vintage; the 2005, for example, sold for €456, registering a price increase of 36%. 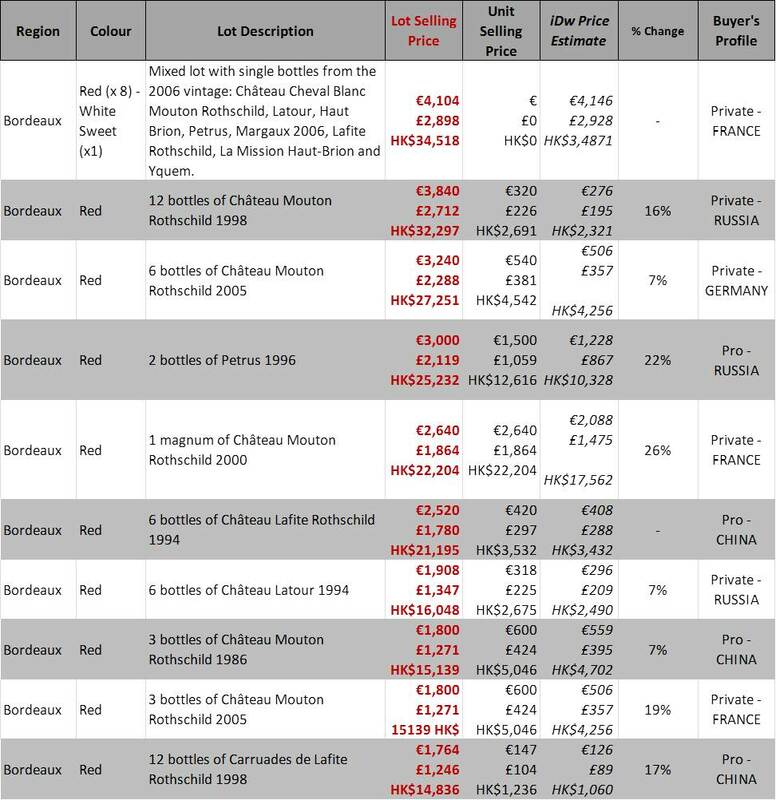 Few top Côte-Rôtie wines were included in Online Auction, with the notable exception of Côte Brune from Jamet (€222 for the 2005, +12%) and La Turque (Guigal, of course), with the 2006 reaching €186, up 15%. In the Loire Valley, Clos Rougeard once again dominated. Saumur-Champigny Le Bourg reached new heights, with the 2009 sold for €324 and the 2005 for €318. 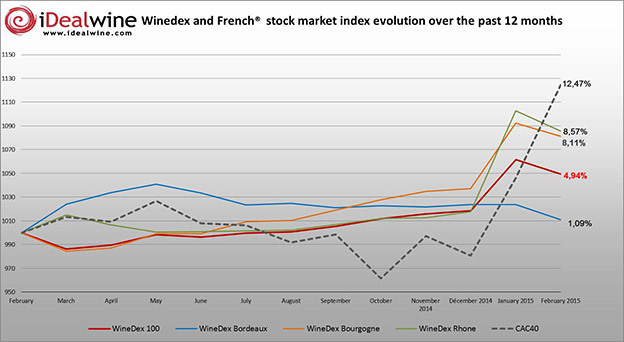 White Saumur (Brézé blend) was another good performer, with the 2009 reaching €144. In Champagne, the 1998 vintage of Dom Pérignon managed to sell for €163 (+23%). Champagne houses Roederer (Cristal), Krug (Grande Cuvée) and Perrier-Jouët (Belle Époque) also achieved good results. 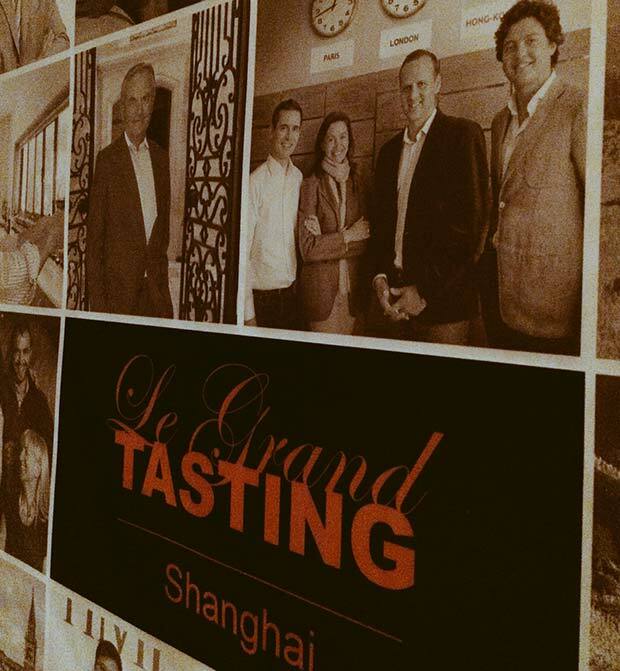 Abroad, it was an Australian wine that stood out – the Hill of Grace 2001 sold for €360.